The results of PCR screening of the RH-panel were analysed with RHMAPPER through the server of the Whitehead Institute/MIT Centre for Genome Research http://carbon.wi.mit.edu:8000/cgi-bin/contig/rhmapper.pl. To reconcile these data with previously reported information regarding maps of the chromosome, three additional sources were used http://0-www.ncbi.nlm.nih.gov.brum.beds.ac.uk/; http://www.stanford.edu/RH/; http://www.tigr.org/. 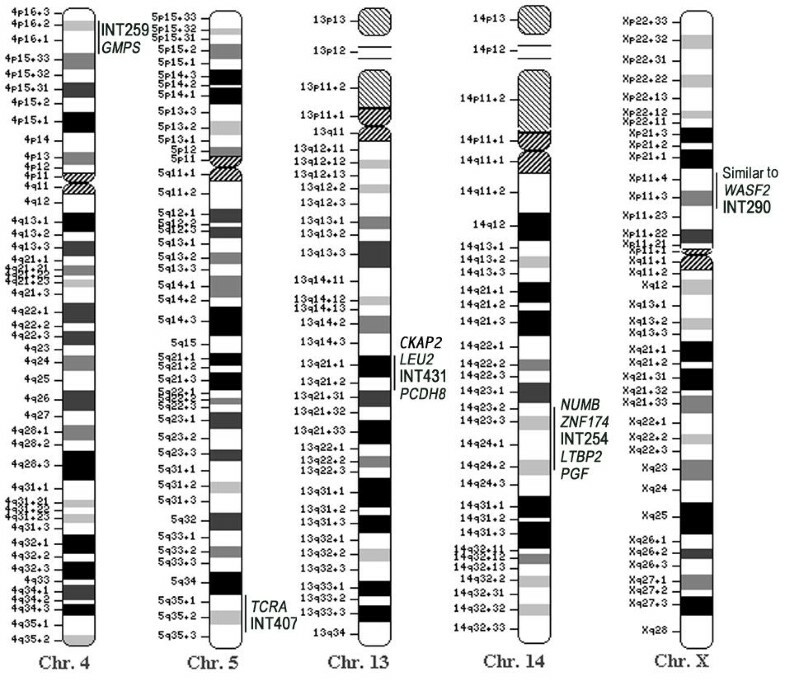 Information concerning proteins, encoded by genes that are homologous to DNA HPV 16 integration sites and are mapped in their site of localisation, was obtained from OMIM database http:///www.ncbi.nlm.nih.gov/ and LocusLink http://0-www.ncbi.nlm.nih.gov.brum.beds.ac.uk/LocusLink/.